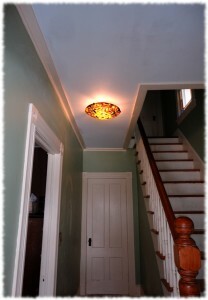 I finished touching up the paint in the front hallway. The hall has been cleaned (though the walls could use another wiping down after the paint fully cures). I think we can call the project finished! 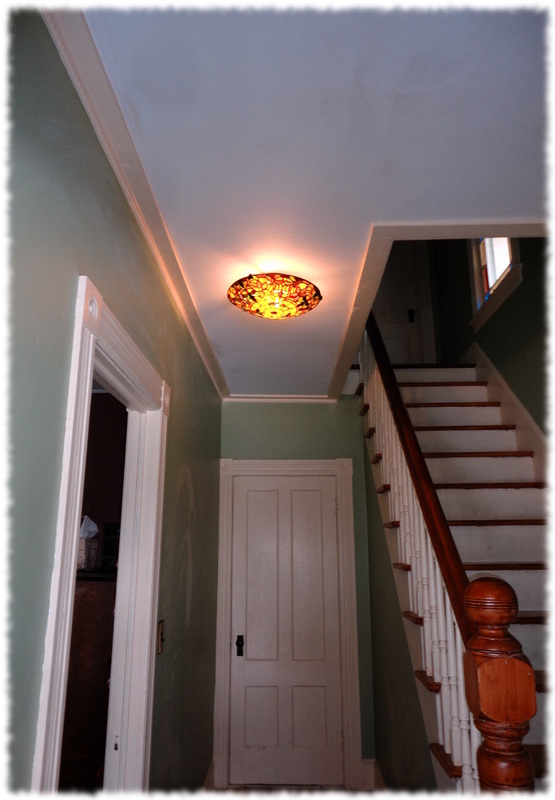 Final view of the new hall ceiling and ceiling light.